Spring is almost in the air. If you ask me, today feels more like a March day than 1st May. Maybe the skies will perk up later here in Vancouver. Nonetheless, I want to share with you some goodies to get into the spring spirit. 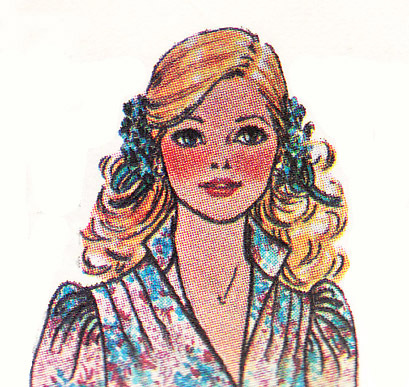 What better way than to enjoy the vintage babes of spring and some fashion ideas? She’s ready for some spring fashion. Source: flickr. 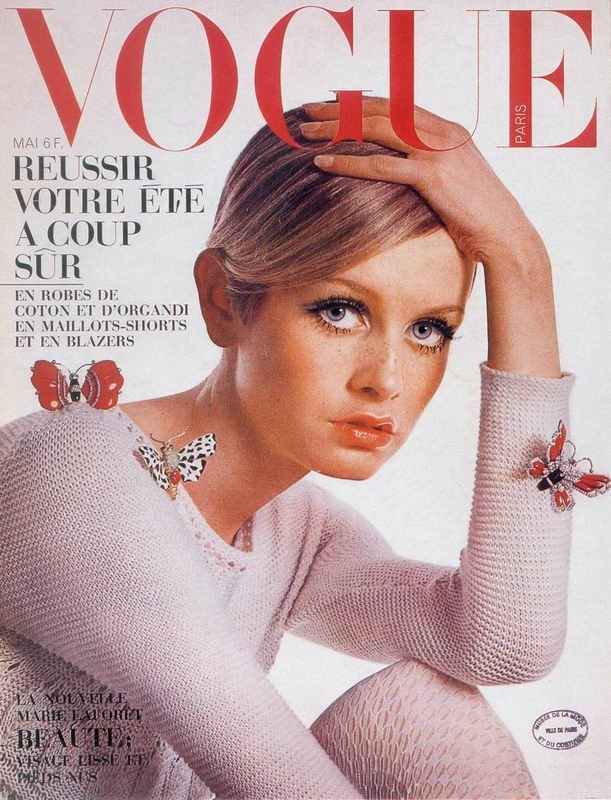 Twiggy on Vogue May cover 1967. Source: Kute Clothes Blog. Feel spring fresh in this classic frock from TheVintageDesignShop. 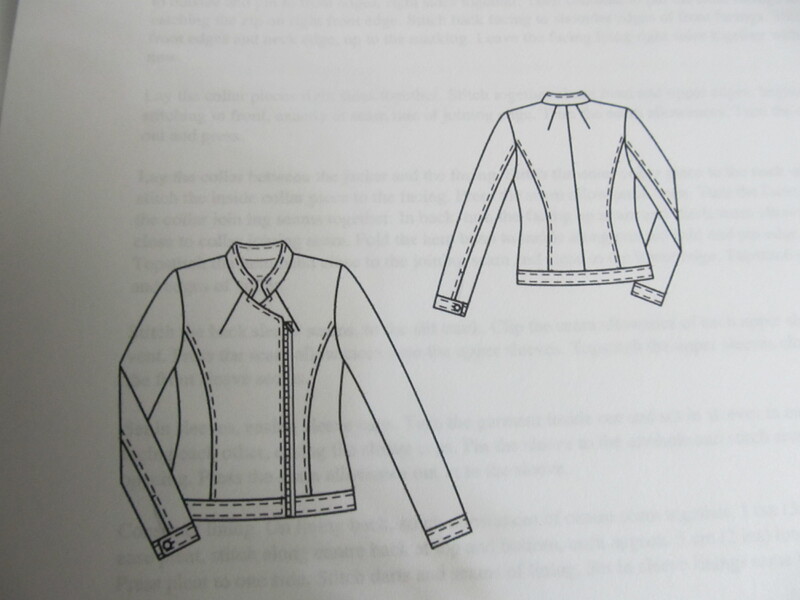 Jacket pattern available from burdastyle. Read about my related adventure here. Spring green vintage dress available from DalenaVintage on Etsy. Original 60s vintage sewing pattern available from TheVintageDesignShop. Original 60s sheath dress pattern available from TheVintageDesignShop. My new Burda pattern before all the taping began. If you look carefully, you can find instructions in Russian. I need a spring jacket in a desperate way. People are starting to give me that peculiar sort of stare lately as I stubbornly continue to wear my beloved black heavy wool DKNY coat day in and day out. 18 C you say? No problem! I’m usually cold anyway, I’m quick to assure you. But even I am starting to admit that we’re halfway through spring with the dawning of May. And I may, reluctantly, soon have to admit defeat. The quest for a spring jacket is no ordinary thing. It needs to be the jacket, the go-to statement jacket, casually cool and elegant and topping everything from perfectly broken in jeans to classic vintage dresses. It’s a commitment. And I have a knack for finding jackets that I would absolutely love… starting from $300. Ha. Seeing as my budget isn’t about to burst forth in blossom anytime soon like the cherry trees in Vancouver these days, I decided to take matters into my own hands. Sure, you’d think that someone like me with a shop like TheVintageDesignShop selling vintage patterns has the prowess of a lioness around a sewing machine, but think twice my friends. I can generously allow that at best I’m an intermediate-level sewer. I can do the basics, but I’ve been reluctant to go to that next level… until now. I have to have that spring jacket. I can see it now perfectly in my mind’s eye: bomber style in a black as night cotton twill with a visible asymmetrical silver zipper on the front, two zipper pockets, and an over-sized collar and/or hood. Preferably with hood. Oh yes. I can practically taste it. So, with some determination I scoured the internet for suitable patterns. Vogue 8600 was a contender. But those Rick Owens bomber jackets kept haunting me. I continued to hunt. Eventually, I found a Burda pattern that with a couple of modifications should do the trick. It was either that or sketch a jacket from scratch, which even with my idealism I thought twice about, considering I’ve never made a jacket before. I settled on the Burda pattern with a couple of modifications. Did I mention that the mods are the collar and two zipper pockets? And may I point out that this brings the total number of zippers in this jacket to three? And… I have a fear of zippers. Sure, I can tackle them on pillowcases, but front and centre on what is going to be the go-to jacket? Oh boy, have I bit off something to chew. I headed off to the fabric store with great optimism and scouted out some finds, including a fantastic fuchsia polka dot cotton that will serve as the jacket lining (though not for the hood, if I get that far). 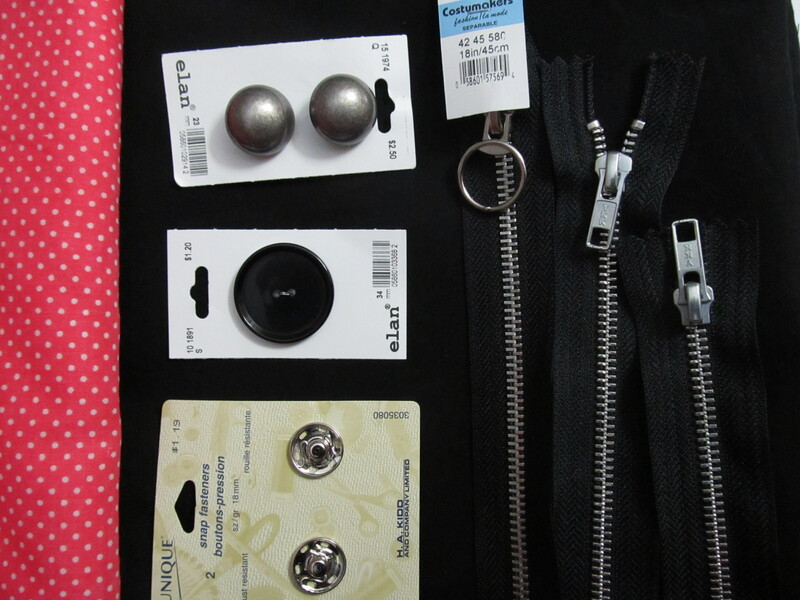 My new fabrics and notions for the spring jacket. Note zippers in question to right. My concession to spring is the fuchsia fabric lining. 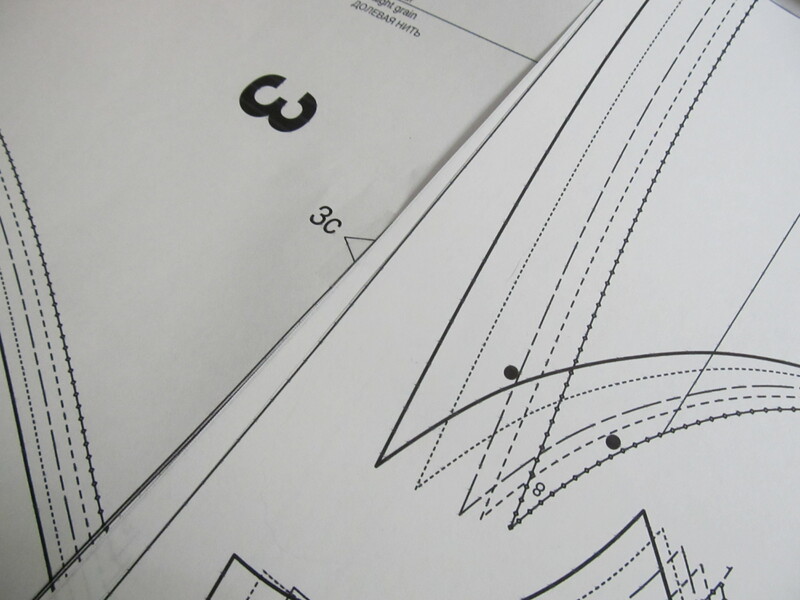 The Burda pattern in question, looking deceptively straight forward. The very first step, after cutting out the pattern pieces which I will get to tomorrow, is tackling the zipper pockets. I suspect I will spend no small amount of time staring at this bomber jacket zipper tutorial.Nothing like facing fear down straight in the face. Sometimes, we just need to suffer for our art or take risks in fashion.